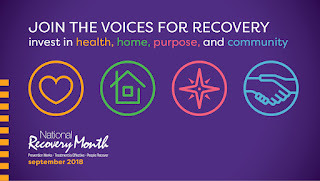 Every September, the Substance Abuse and Mental Health Services Administration (SAMHSA), part of the U.S. Department of Health and Human Services, promotes National Recovery Month. It’s a time to raise awareness and understanding of substance abuse and mental health disorders as well as celebrate people living in recovery. Simultaneously with the national observance, Gov. John Bel Edwards has proclaimed September as Recovery Month in Louisiana. Read the proclamation here. During Recovery Month, the Louisiana Department of Health wants the public to know that recovery is possible, to celebrate individual stories of success and to promote available resources to anyone who needs help coping with an addiction or mental illness. This month, look for #AddictionRecoveryLA on Facebook, Twitter, Instagram, YouTube, blogs, podcasts and more for information about Recovery Month. You’ll see messages from the Department of Health and its agencies along with national resources from SAMHSA. 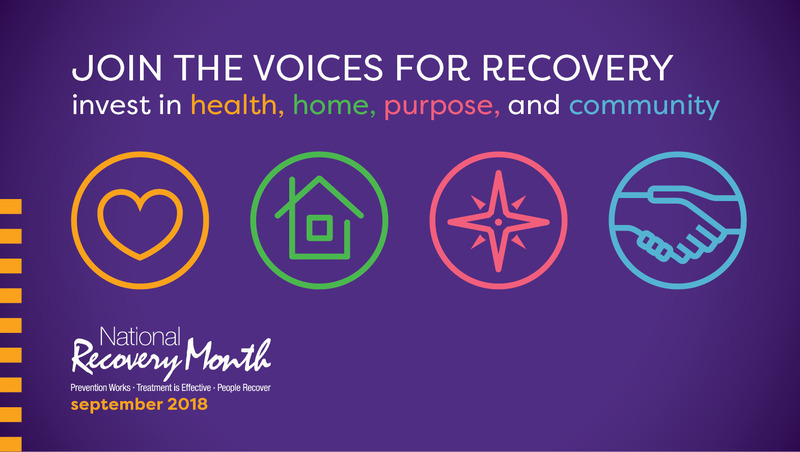 This year’s theme for Recovery Month is “Join the Voices for Recovery: Invest in Health, Home, Purpose and Community.” These four pillars are commonly cited among the fundamental keys to lasting recovery. Community, especially, is crucial for helping people find and stay on the road to recovery. Peers, friends and family providing healthy relationships form the framework for a safety net of support. The odds can seem to be against you when you’re dealing with addiction or mental illness, but with health, home, purpose and community, there is hope. Sharing the inspiring stories of those living a life in recovery is a vital part of erasing the stigma surrounding addiction and mental illness. If you have a personal story of recovery that you’d like to share, visit SAMHSA's Voices for Recovery page and create an account. You can also fax your story, written in 500 words or less, along with the authorization and release form to (240) 276-2710. A topic of importance during Recovery Month is the opioid epidemic facing our communities. Opioids are a class of drugs historically used as prescription painkillers, including hydrocodone, oxycodone, morphine, codeine, methadone and fentanyl, as well as the illegal drug heroin. While such prescription drugs are useful in pain management, they also carry the potential for misuse. Repeated use greatly increases the risks of developing an addiction. According to the Centers for Disease Control and Prevention, overdose deaths from opioids have quadrupled since 1999. More than six out of 10 overdose deaths involve opioids and an average of 115 Americans die daily from an overdose. In Louisiana alone, more than 1,000 people died from an opioid overdose in 2016. Many people don’t know that an opioid overdose can be treated with a medication called naloxone. When administered in a timely manner, naloxone can prevent overdose-related death. Naloxone is available to the public under a standing order from Dr. Rebekah Gee, Secretary of the Louisiana Department of Health. The order allows pharmacists to dispense the medication to caregivers, family and friends of an opioid user. Anyone receiving naloxone from a pharmacy will be educated on how to recognize an overdose, how to store and administer the medication and information on emergency follow-up procedures. To download a free toolkit on opioid overdose, click here. If you or a loved one are coping with addiction or mental illness, there are plenty of resources for those in need of help. Here are a few to get you started. For assistance in your district, contact your local government entity. Locate yours here. For more Recovery Month information, click here.